Starting out on a new career path is an exciting time that’s filled with hope, dreams, and prospects. Even though right now you have the chance to make a change for the better, it doesn’t come without some degree of worry. The stream of career choices available to you may seem endless, and everyone probably has an opinion on which one you should try. When it comes down to it, only one person’s opinion really matters – and that’s yours. So how do you know which career is right for you? If you’re considering a career in the skilled or technical trades, training to become an electrician means that you’re entering a field with plenty of room to grow. Why choose an electrician training program (and eventually becoming a licensed electrician) over other skilled and technical trades? Take a look at the top reasons to consider becoming an electrician over entering the HVAC, plumbing, automotive, or carpentry/construction fields. How many working electricians are there? As of 2016, there were 666,900 electrician jobs, according to the U.S. Bureau of Labor Statistics (BLS). Compare that to the statistic for HVAC careers, which comes in at less than half with 332,900. Likewise, plumbers, pipefitters, and steamfitters also have much lower numbers (in terms of total jobs) than electricians. Combined, this group only reaches 480,600. Even though the projected job rate growth isn’t as high for electricians as some other fields, the BLS still estimates that by 2026 there will be a total of 726,500 jobs. HVAC trades are expected to reach 381,700, and plumbing jobs will hit 555,800. If you’re considering a construction job, equipment operator jobs are expected to reach 479,300. When choosing a career path, keep in mind that the more jobs there are, the more opportunity exists for you. Electricians can work in a variety of settings, ranging from commercial buildings to residential properties. They’re also employed by universities, hospitals, government agencies, and themselves. While finding a job is a step in the right direction, finding a good paying job is even better. What do electricians typically make? The annual income varies, depending on several factors. The more experience you have, the more you’re likely to make. Likewise, the more education you have, the higher salary an employer may offer. Along with experience and education, some companies pay more than others. You may also find that the area where you live pays more or less, depending on regional economic factors. The median pay for an electrician is $54,110 per year, according to the BLS. If you’re pitting an electrician’s pay against another skilled trade or technical job, HVAC employees make an average of $47,080, plumbers make $52,590, auto mechanics make $39,550, and carpenters make $45,170. Clearly, electricians are the winners here. Note that the annual salary may not equate to a higher hourly wage. Other professions may pay more if the job is based on an hourly rate. But accounting for average overtime pay or numbers of hours available to work, an electrician career is certainly a profitable one. Remember, the BLS averages aren’t standard salaries. Again, your salary is dependent on several factors. The majority of the skilled and technical trades require some formal education. An electrician training program is typical on par with HVAC, plumbing, auto, construction, and other similar types of fields. These programs all require targeted training and hands-on skill building – typically through an apprenticeship. 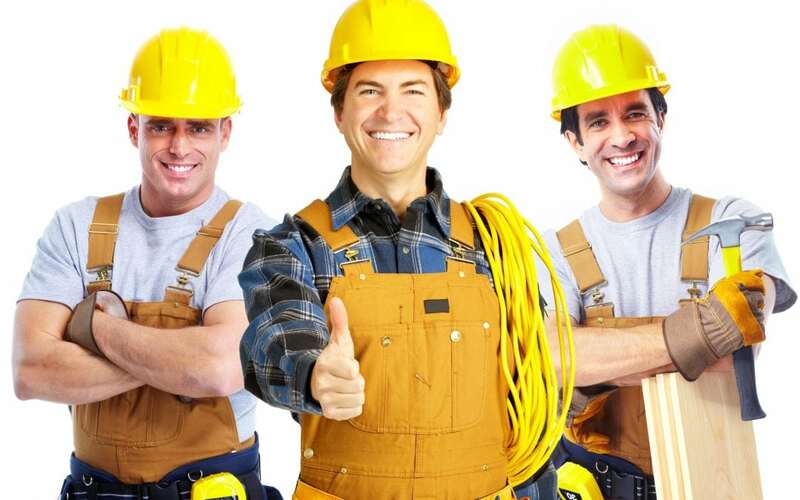 Are you ready to start your career as an electrician? At IEC Greater Cincinnati, we offer hands-on electrical training and classroom education. Contact us today for more information.